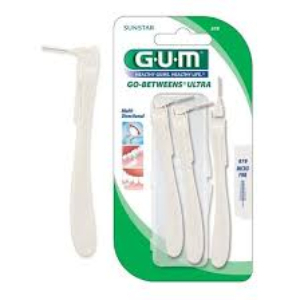 More Go-Betweens usage = less time in the dentist chair! Strong thin wire brush removes food and plaque from small tight spaces. Unique pivot head adjusts for easy access to back teeth.Antibacterial bristles* keep brush cleaner between uses. Compact size for on-the-go dental prevention. Product ships as three single count individually wrapped brushes.